Pack Your Bags and Start Sparkling! There are non stop flights to Paris (CDG) daily from all over the world. Once you arrive in Paris the high speed train station is right in the airport and its a 3.5 hour train ride to the Aix en Provence TGV station. 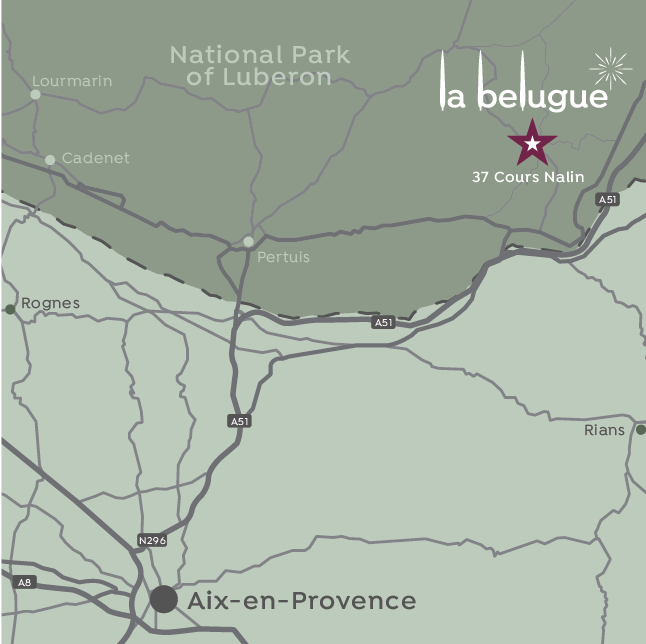 La Belugue is just 40min away from the train station and voila, welcome to Provence!! Or you can take a short connecting flight to Marseille Airport (MRS) and then its just a 1 hour drive to La Belugue. © Copyright 2017 La Belugue. All rights reserved.